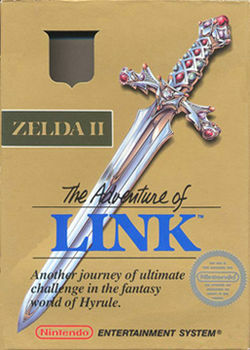 With the then masterpiece that was The Legend of Zelda, Nintendo owners (myself included) eagerly awaited the sequel. Things were different back then and no release dates were ever given, so games would just show up in stores and it was first come, first serve. This was most definitely the case with both Super Mario Bros. 2 and Zelda II: Adventure of Link in 1988, when both games dropped in the holiday season. The latter, however, didn’t peak its head out until December with hardly enough time for parents and even Nintendo’s Fun Club newsletter to prepare the rush of players eager to share another quest with Link. For better or worse, Zelda II was drastically different from the original, now incorporated more traditional RPG mechanics like leveling up and magic as well as being much more difficult. 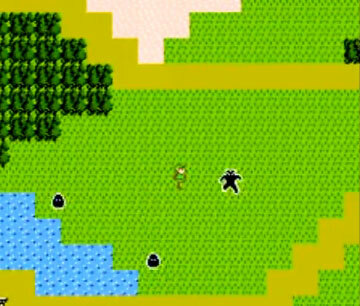 If you can stomach it, however, there’s a lot to appreciate with Adventure of Link. Zelda II: The Adventures of Link, Shin Megami Tensei Persona, Ikaruga, Dark Souls. All of these games have one thing in common: they are hard as hell. Since the genesis of the video game difficulty has existed to be the barrier to entry and the extension of game experiences. What is a video game if not a challenge? Originally technology had not caught up with the goals of the medium so games had to use difficulty to bridge the gap of a good experience where visuals and storytelling failed. Nowadays games are just as capable, if not more, than other media in being an interactive experience and therefore difficulty steps aside most times. I consistently hear that the concept of difficulty is dead, that a hard game dictates a good game, and that today’s gamers are weak and catered to. Frankly, I disagree with all of that. Gaming is typically tech dependent and with that dependence comes the evolution of experience, which results in the evolution of difficulty. Games haven’t gotten harder or easier, they have simply evolved. The term “arcade game” these days conjures up images of cutting-edge graphics and sound, combined with innovative and interactive technology that can bring any concept to life. However, good graphics and interactivity have not always been a necessity for a game that is both enjoyable and addictive. I dread to mention the recent phenomenon of the Flappy Bird app but it is an example of an outrageously faulty and basic game becoming extremely popular. This has been seen in the past with games like Space Invaders, Pac Man, Tetris and Asteroids following very basic concepts and graphics, but still being addictive and rewarding when completed. The first arcade games kicked off at amusement parks and are still present at fairs and theme parks, but there’s nothing particularly sophisticated about them. Ring toss, throwing balls at stacked cans, shooting targets, and other simple challenges have been doing the rounds for hundreds of years and can still draw in the punters to this day. Just don’t go expecting an easy win. Perhaps this is what is indicative of a good game – making it appear simple whilst making it actually fiendishly difficult to win. Make it too hard, however ,and you are left with Zelda II. My favorite Christmas had to be in 1987, when the NES had dropped to $100 for the Super Mario Bros/Duck Hunt bundle and I finally received it as a gift. Lucky for me, my birthday comes just after Christmas, on January 6, so I was able to get another game for my NES as a birthday present. It was a tough battle between Castlevania and Legend of Zelda but most of my friends were exploring the world of Hyrule with Link so I went with Zelda. For the next year I spent countless hours conquering Bowser over and over again and trying to find all the hidden rock walls to bomb until finally going on to tackle Gannon. 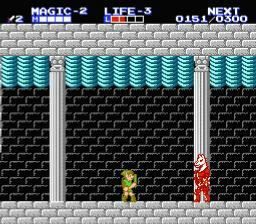 Even upon completing the Legend of Zelda, a second quest opened that was harder and moved everything around. Had that guy never talked to me I never would have begun a long tradition of begging my mother for multiple holiday releases in December that I intended to get as both Christmas and birthday presents. With some begging, we left Toys R Us with a shiny gold copy of Zelda II firmly placed in my mother’s grasp. In the week that followed the buzz on the playground was all about which game everyone was going to get and how to find Zelda II for the admitted minority that sought it. I was so pleased that this was not a problem I had, that is until my father took issue with my little combo plan. My father was a traditional hispanic that held firmly to the belief that a gift is intended to be given both at the appropriate time and without the receiver knowing what it was. Not only that, he said that he was going to take one of the two games back to the store and return it. I knew better than to make a big deal out it, but I quietly went to my room while I waited for dinner and tried to decide which game I wanted. I came to the conclusion that Zelda II would probably be the best route given that it may be hard to find and the fact that the original took much longer to beat than Super Mario Bros had. 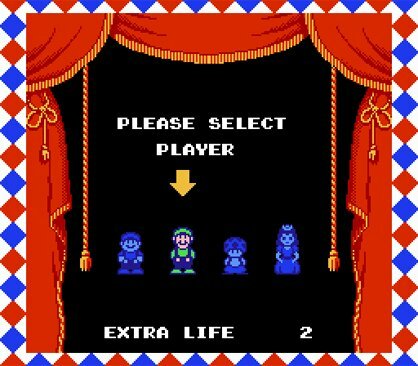 Besides, if I only asked for Super Mario Bros. 2 for my birthday, what choice would they have? I went to dinner and chose the appropriate moment to politely tell my father that I respected his decision and that I would like to get Zelda II and whatever happened for my birthday would be up to them, not me. My clever father dawned a smirk that would have made the Grinch jealous and explained to me that I must have missed the part about a gift being up to the giver to decide. He told me that he would be returning one of my games, but that he would be deciding which one it was going to be – and in truth, my father paid little attention to my requested games, especially the names of them. That night he emerged from the bedroom with a single present wrapped up in the shape of nothing other than a Nintendo game. I spent the next two weeks looking at that game, knowing that it would define the rest of my winter break. As both a collector and a gamer it wasn’t that I didn’t want Super Mario Bros. 2, most likely I would be playing that title first, but rather that if my father returned Zelda II it may not be on store shelves until far past my birthday and I knew he wouldn’t give me money. On Christmas morning we opened our gifts and I was quite pleased with everything, but I saved the game for last. I’ve always done this in life, save the best for last, which explains why I eat the center of a Oreo last or save all the cereal marshmallows in until the end. 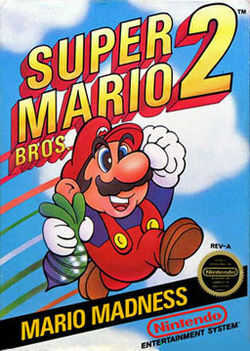 I eagerly opened the game, ripping the paper as fast as I could and revealed the bright sky blue box for Super Mario Bros. 2. 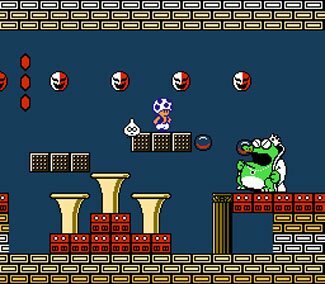 It was weird, if I went over it in my head I would have probably worried about looking unappreciative or displeased with the gift, but instead I was overcome with the rush of actually being able to play Mario 2 right then and there. I gave the expected happy response, hugged my parents and rushed out to play the game. My father called to me and told me to wait, he was glancing at the corner of the tree with heavy focus. He asked me what that was in the back corner. I was sure there had been nothing back there, but of course when I went to the corner there was another gift wedged somewhat behind the stereo. It was the shape of a Nintendo game and I gleefully tore into the paper to reveal that shiny gold box of Zelda II. It was a wicked trick, but like all my father’s efforts it taught me a lesson and resulted in an ecstatic child so I suppose it was all worth it. Oddly enough both titles were completely different from their appropriate franchises. It would take more than 20 years for me to eventually beat Zelda II, but the much easier Mario 2 was completed by New Year’s Eve. Still, I thoroughly enjoyed the first sequels of my NES experience and can fondly remember that Christmas morning, even today.